These figures will be available later this year. Check out the images after the jump! We’re continuing our S.H. 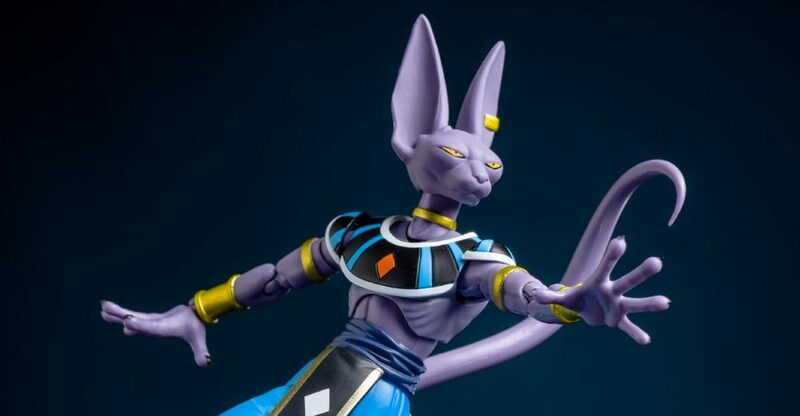 Figuarts Dragonball Z galleries today with another recent release – Beerus! Beerus is the god of Destruction, first introduced in the movie Dragonball Z – Battle of the Gods. He’s since appeared in the following movie Revival of F and the new ongoing series in Japan – Dragonball Super. All within the original show’s general continuity. Beerus and his companion Whis are new teachers for Goku and Vegeta, pushing their limits to even higher levels than Super Saiyan. We’ve run him through the motions after the break, Let’s take a look courtesy of site sponsor The Toy Source! Related Toy Source Links: S.H. Figuarts Beerus, S.H. Figuarts Premium Trunks, S.H. Figuarts SSGSS Vegeta, S.H. Figuarts Whis, All SHF DBZ. Here are a few photos of the SH Figuarts on display at Nuremberg Toy Fair 2016. 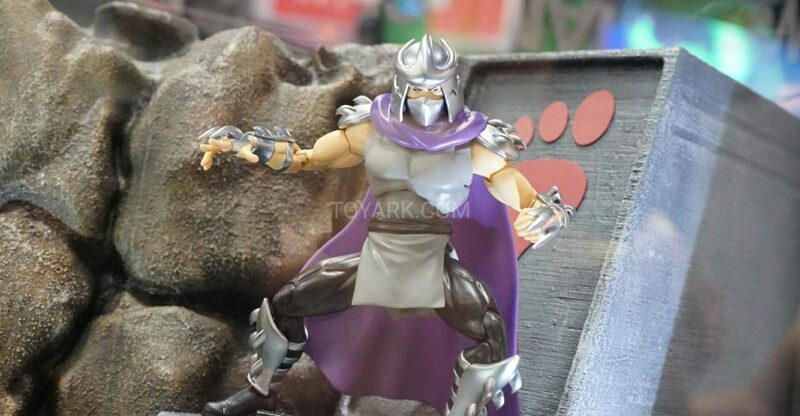 These included new shots of the 1980’s toon TMNT figures and a small Dragon Ball Z display. The photos come courtesy of Cosmic Group S.r.l. on Facebook. You can check out the images by reading on. Discuss on the Toyark Forums› Views: 10306 › Credit: Cosmic Group S.r.l. 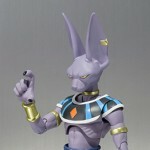 A few new photos of SH Figuarts Dragon Ball Z Beerus have been released by Tamashii Nations. We saw a few images of Beerus a couple of weeks ago. The new pics show off a bit of the articulations. Tamashii Nations has posted up their pre-order for the figure as well. Look for your favorite online shops to post up their pre-orders shortly. Beerus is slated for a March 2016 release at a price of 5,400 Yen (about $46 USD). Beerus looks to include three heads and multiple hands. Check out the new images by reading on. Tamashii Nations has posted up official photos and info for two upcoming Dragon Ball Z figures. At New York Comic-Con, we got a look at both SH Figuarts Super Saiyan God Super Saiyan Vegeta and Beerus the Destroyer. 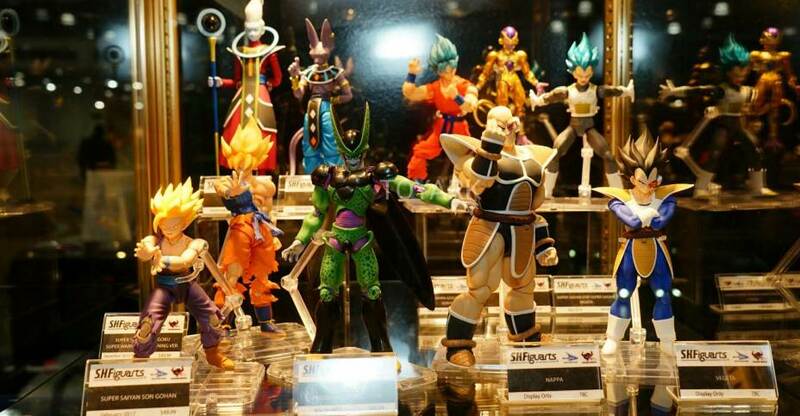 Click the Here to see the entire DBZ display at the Bluefin booth. We now have official Japanese release dates, new official photos and pricing for these two figures. 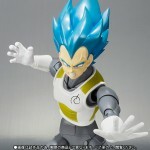 SSGSS Vegeta is scheduled for release in April 2016 at a price of 4,356 Yen (about $37 USD). He will include swappable faces and hands. Beerus is slated for a March 2016 release at a price of 5,400 Yen (about $46 USD). Beerus looks to include three heads and multiple hands. 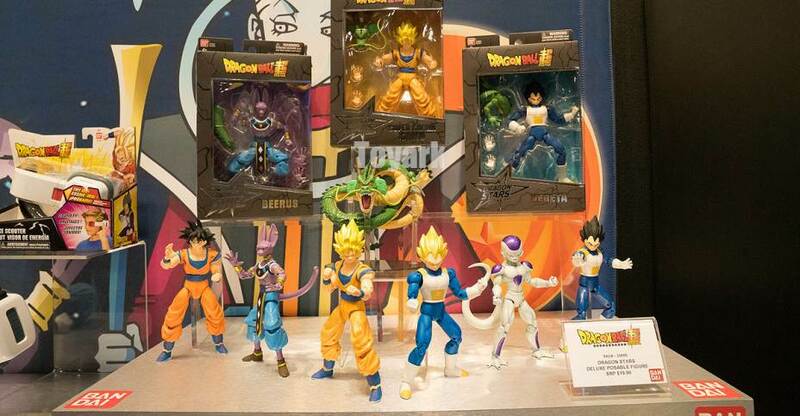 Here is the Dragon Ball Z display at the Tamashii Nations booth during San Diego Comic-Con 2015.